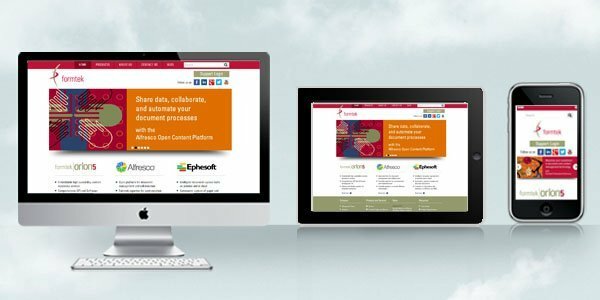 Dharne & Co designs a modern, user friendly and mobile friendly website for Formtek, an enterprise content management solution provider. Formtek Inc., a US-based company, has been providing mission-critical content management software and services to some of the largest and most demanding engineering, manufacturing, aerospace, industrial, and technical organizations in the world for over two decades. Formtek solutions include content management, document management, engineering drawing management, records management, workflow, and secure collaboration, and are built on open and adaptable technology platforms including Formtek | OrionTM, AlfrescoTM, and EphesoftTM. Formtek wanted to modernize their website to provide a better experience for visitors and to expand their reach to new clients. A key requirement was to retain their large volume of existing content, but update the previous design to be modern, user-friendly, and mobile-friendly. Formtek (http://www.formtek.com) selected Dharne & Co., (http://www.dharne.com) a creative web design company, to execute the website redesign. The new website is developed using WordPress and can be self-managed to add and update pages, posts, images, PDFs, audio and videos. With a strong emphasis to attract new clients, features such as inquiry forms, email newsletters and testimonials have been added to the website. The new website is also compatible with all devices, including smartphones and tablets. 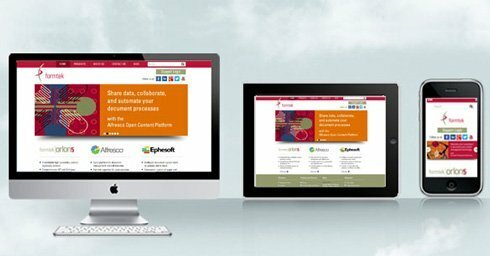 Dharne & Co. has ensured Formtek’s new website is highly visible to search engines by providing Search Engine Optimization (SEO). The new website is customer friendly, integrated with an easy to operate blog, and linked to major social media networking sites such as Facebook, Twitter, YouTube, Google+, RSS feeds and LinkedIn. Useful tools have been added to the website to track visitors and measure traffic.